One Christmas years ago, my husbands grandmother asked me if I would like to make the holiday cake for their family’s christmas dinner. For as long as GranNana has had her own family she has made them a special coconut cake for christmas dinner. So, YES I was very honored and nervous she was passing the torch on to me. This was very early in my cake making life but my red velvet Snowflake cake knocked the socks off everyone! I didnt want to try to recreate the coconut cake that my husband’s GranNana had made for over 50 years. I needed to make something new and different and spectacular. I knew that it would be white and red velvet, but it was a wedding cake covered in glistening snowflakes that inspired me to attempt a new decorating medium. All of my cakes are a learning experience, I am self-taught in each technique I pick up. This was my frist time using royal icing and although Im still nowhere near a pastry artist is piping skills, these simple snowflakes turned out just right. 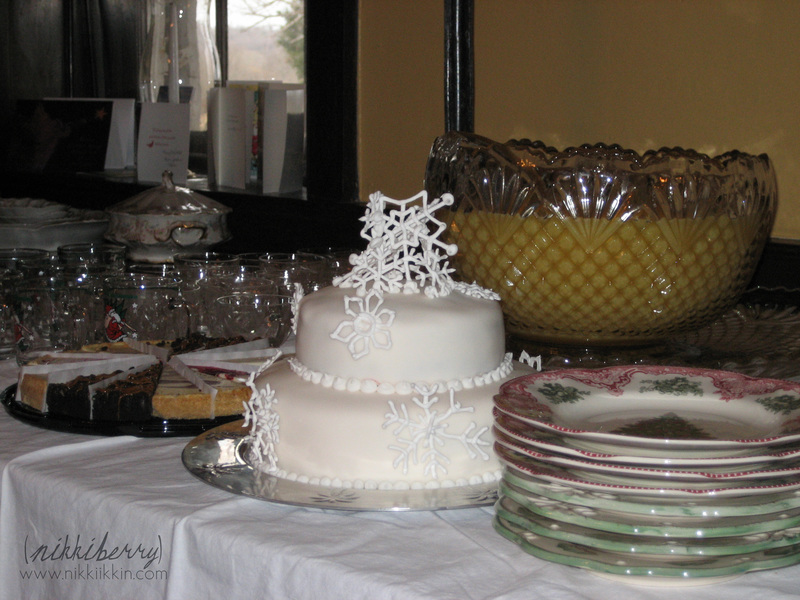 The cake sat so proudly in my husband’s aunt’s antebellum formal dinning room and most of the 50 family member thought that years cake was ordered from a bakery. 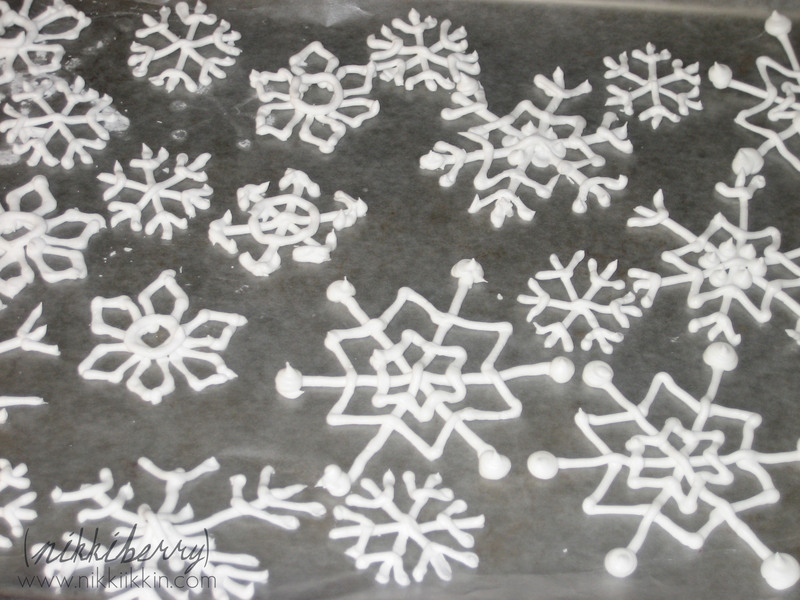 To make the royal icing snowflakes I traced images of illustrated snowflakes under wax paper. 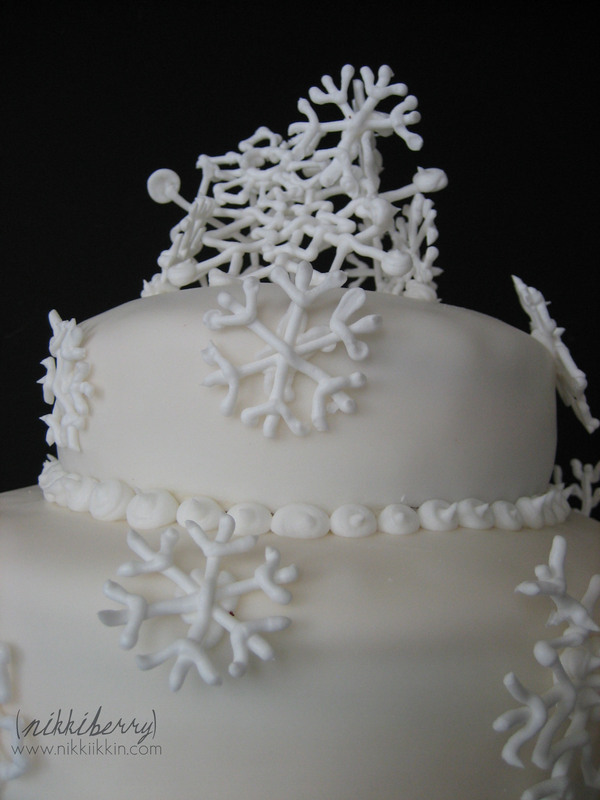 I chose the best looking and unbroken snowflakes for the sides and piled full and partial snowflakes on the top. It was a happy accident that it turned into a lovely topper. 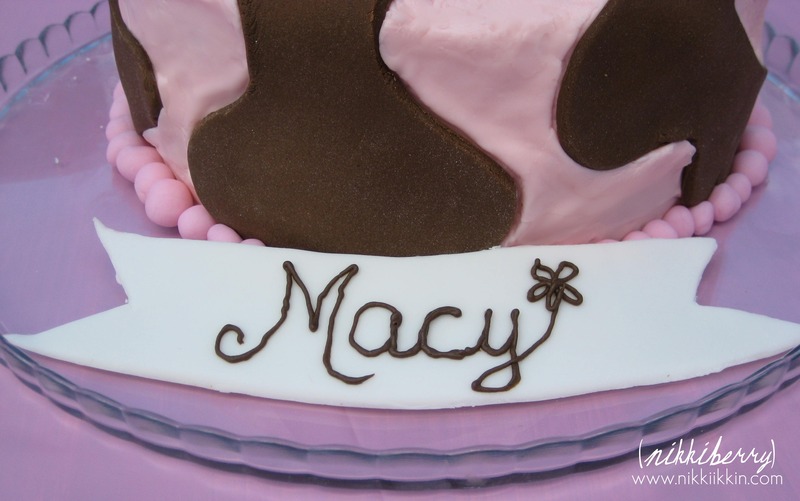 This has always been one of my favorite cakes, I repeated it ( I dont usually repeat cakes) for Macy’s NewYears Tea Party and plan to make it anytime I get the chance to show it off again. 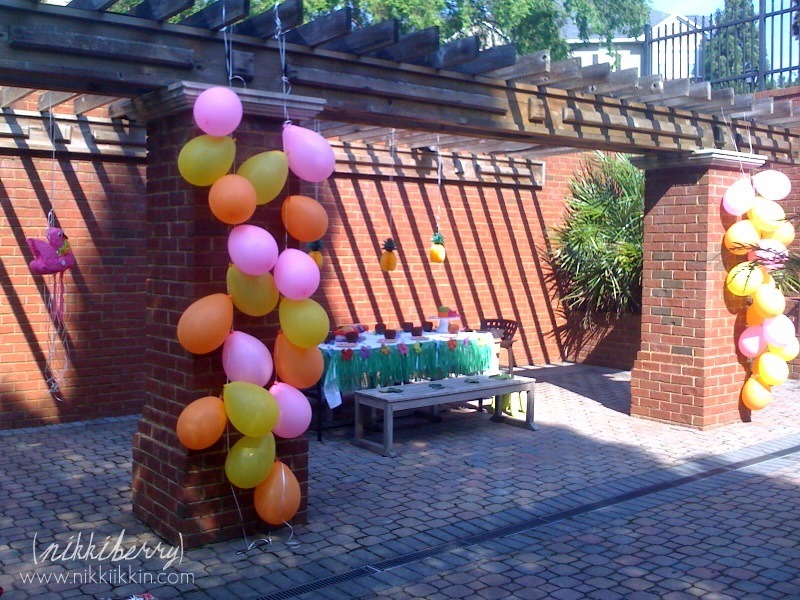 Fall is on its way and it has me thinking about cooler weather and fall parties. Hot cider & cinnamon doughnuts, hay rides & barn parties. 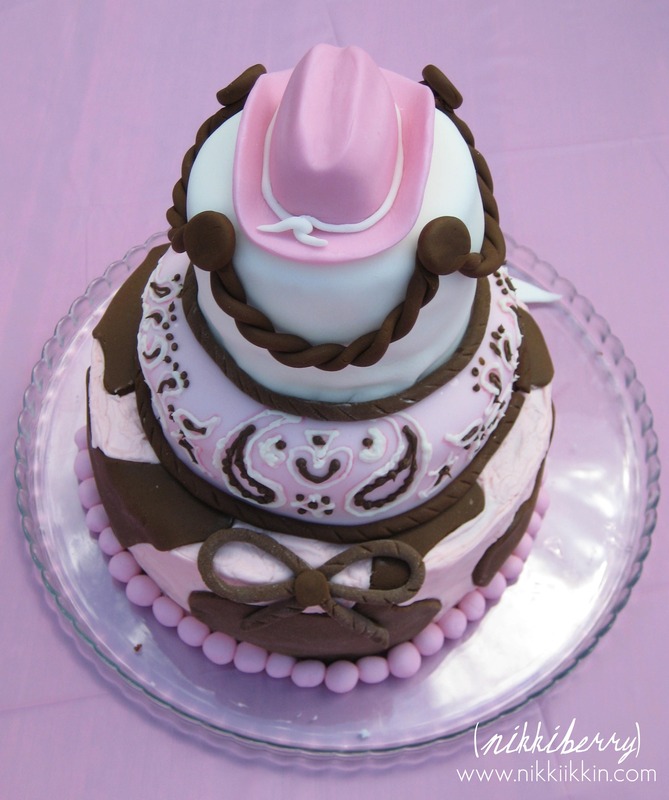 A Cowgirl theme seems like a perfect fall birthday party theme to me. 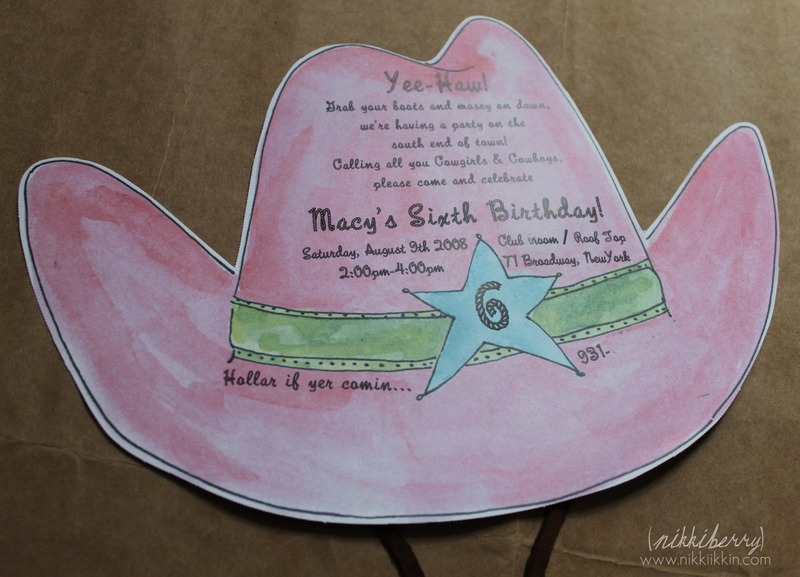 Macy’s 6th birthday was Cowgirl themed…..but in NYC….in August…. and those city kids loved it! 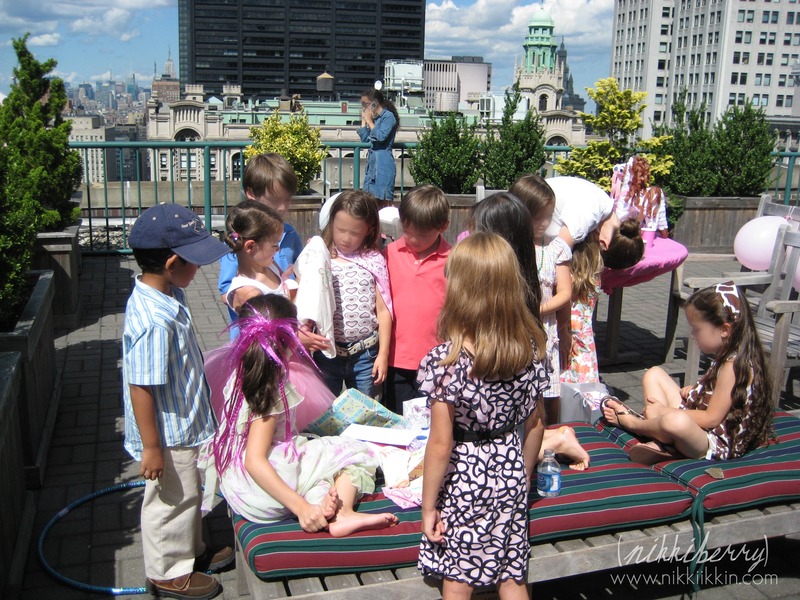 This is the first birthday party she had in NYC. We had flown back home to Tennessee the previous 2 years. If we had went to Tennessee for this party, it surely would have been in a barn, as we have plenty of family and friends with barns! But Macy’s party was a “Manhattan Cowgirl” party, on a beautiful roof top garden of our apartment building in Lower Manhattan. 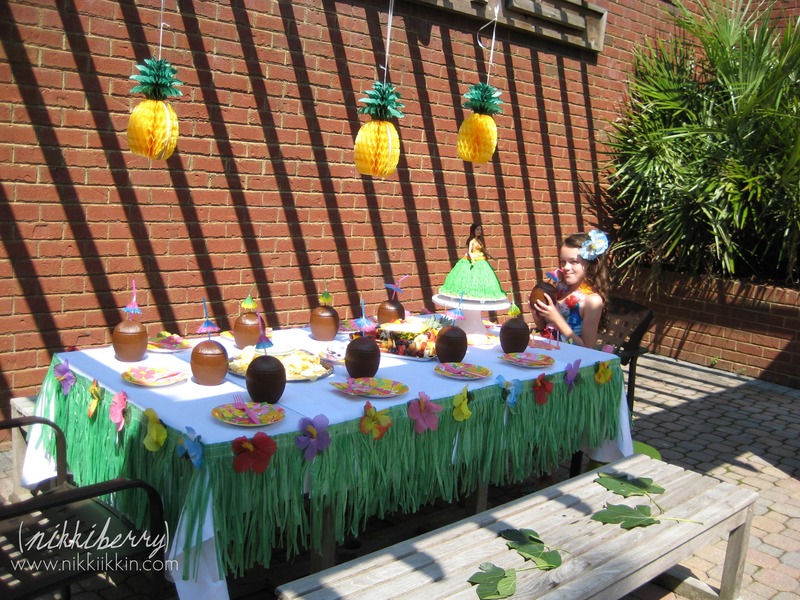 This was the last party that she invited both boys and girls from her class. Besides the heavy dose of pink the party it was gender friendly in games and activities and of course I didnt send the boys home with the pink boot favor bag…I got red ones for them and I used red and blue in some of the decorations too. For the invitation I choose a water colored hat by Julia D. Azar Designs. 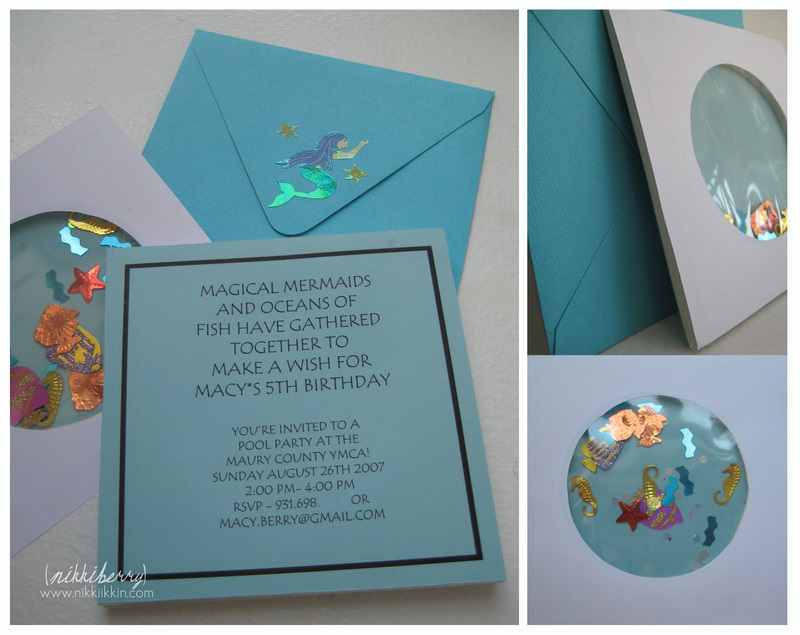 I promise I really do make her invitations myself almost every year, but this was the year after the very labored Under the Sea shaker invitations and I needed a year off! Who needs a barn with hay bales when you have this view for a party? 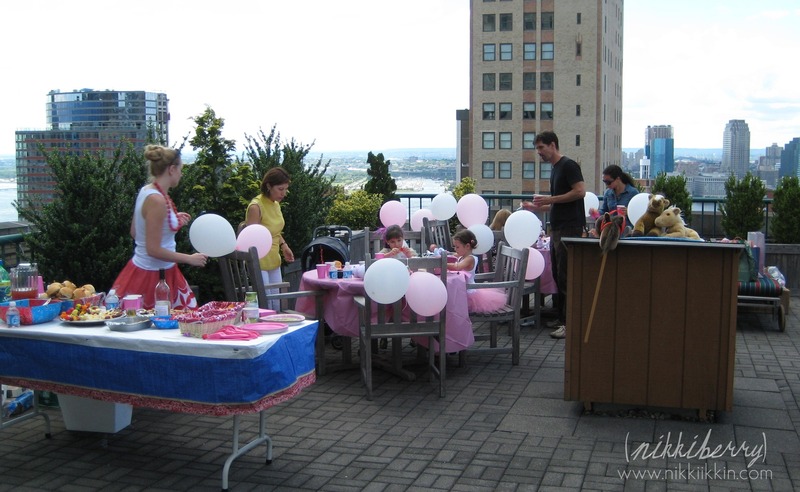 We were proud to host many parties on the roof top and club room of our building at 71 Broadway. The view is amazing! In the top picture the water beyond is the Hudson River and the New York Harbor. In the bottom picture is the space that Trinity Church sits in and just to the right of the large black building you can see the Empire State building. Not visible from this picture, but we have many others, is a view right into Ground Zero. To keep the kids busy we played a few games. “Lassoing the Horse” was tossing a hula hoop over a stuffed horse. 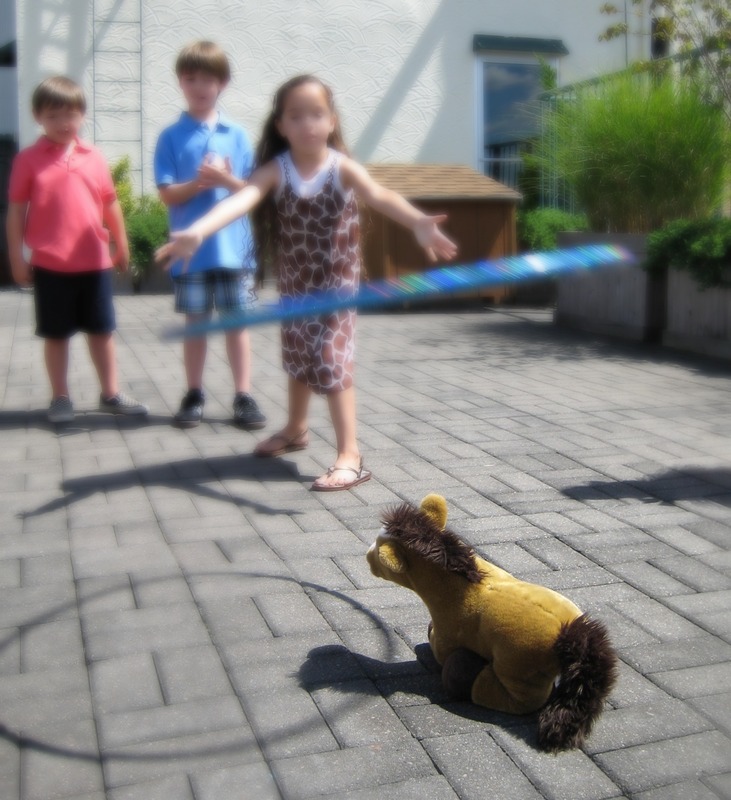 There was a “Stick Horse Race” in which they had to gallop (skip) to win. And a pull string pinata, I only do the pull string kind for safety (I was the kid that got hit in the face with the pinata stick growing up). We’ve had some funny pinata stores over the years, this year the kid that grab hold of the magic string pulled so hard the pinata horses body came detached from its head. Jake and I thought it was halirous….a few other parents watching…not so funny. 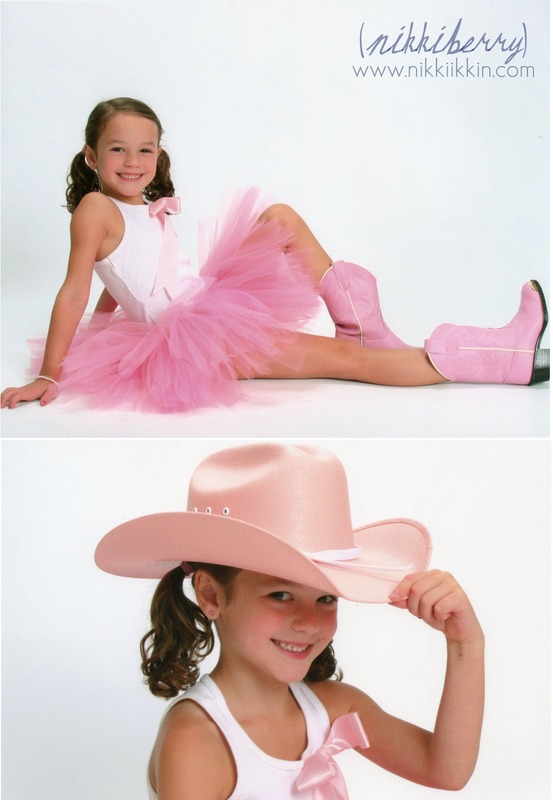 During the party I photographed many of the guests in Cowgirl or Cowboy costumes that we provided. Some of the girls even showed up in their own cowboy boots, that made it even better. My sister changed the color of the picture to sepia and added their names in a cowboyish style font in Picnik. Macy sent the prints as keepsakes in their thank you notes. Planing for Macy’s party outfit is always apart of the party process. This year she was ecstatic that we ordered her a real hat and boots from Texas! 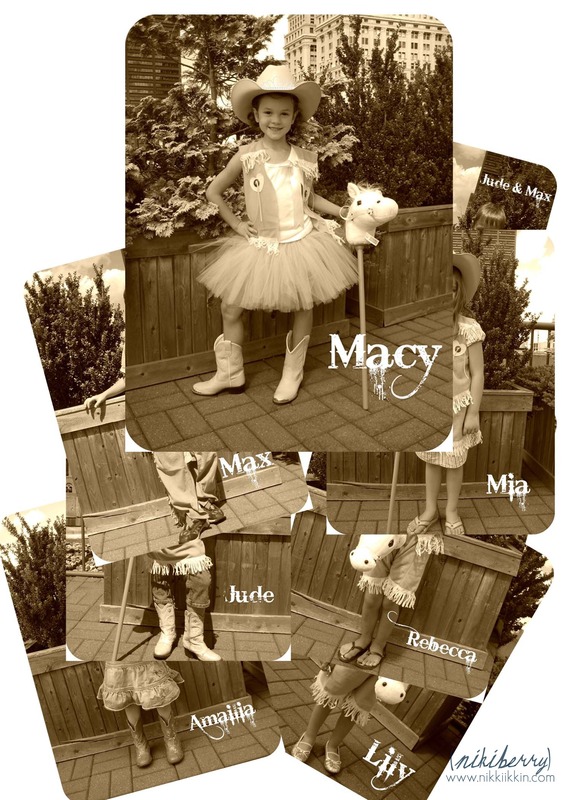 Pairing them with a tutu and embellished tank made them more her style and her Cowgirl Party outfit was so cute that we had her picture made in it. YA’LL COME BACK, YA HEAR! 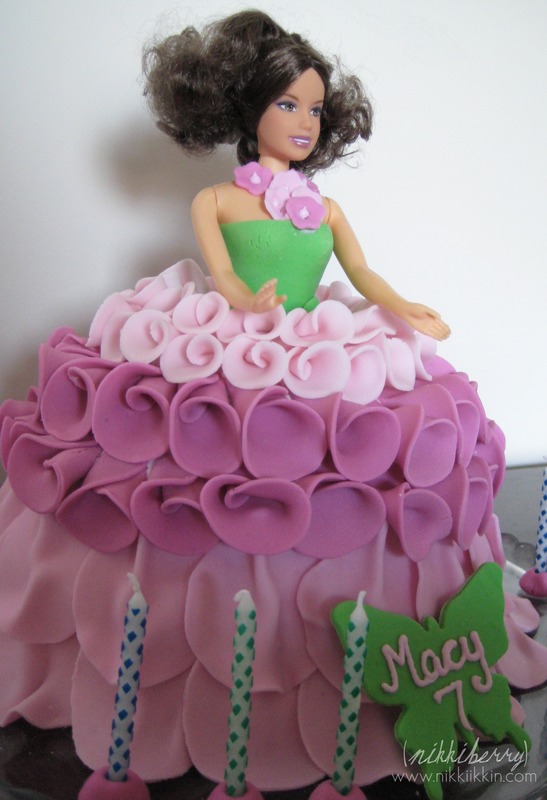 I created this Rose Petal Barbie Cake for Macy’s 7th birthday. 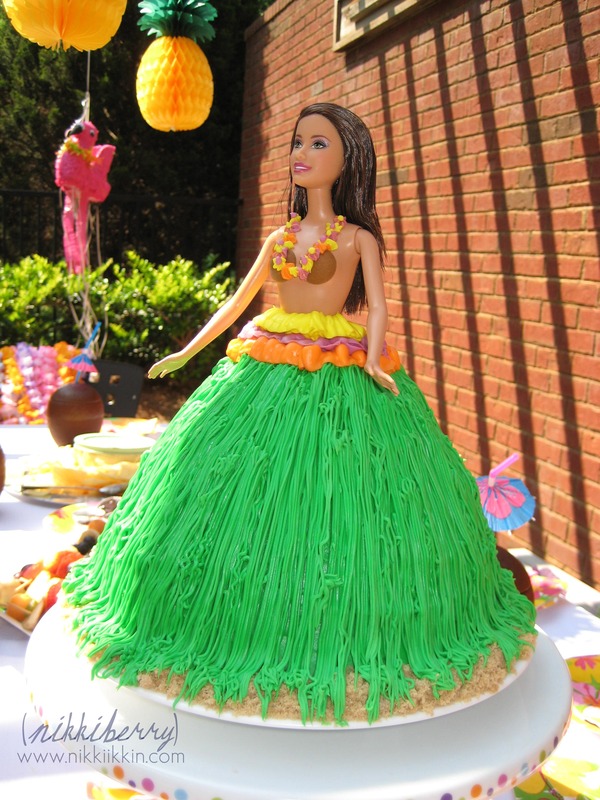 She was my first Barbie cake using the Wilton Doll Cake mold. 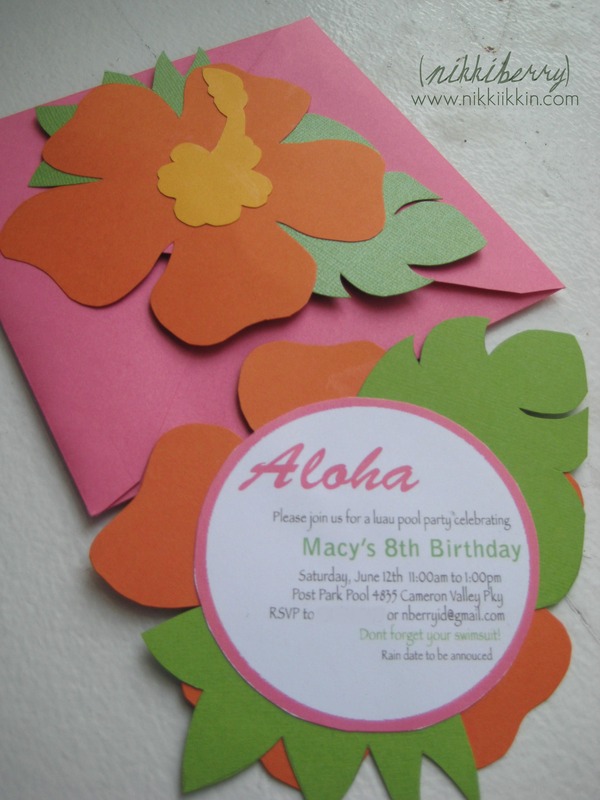 This design is simple but creating all the petals are tedious. To make them I made three colors and three sizes. They are formed by starting with a circle and then curling it and thinning out the edges to give it a natural shape. My sister actually helped me crank them out and she added the leaf around the waist idea to conceal the area where doll waist meets cake. Her dress is completed with a flower necklace. I dont like to write on most of my cakes and it has become my signature to make a plaque to write a simple name. For this Barbie I used the Wilton doll pick but changed the head with one of Macy’s real Barbie’s. 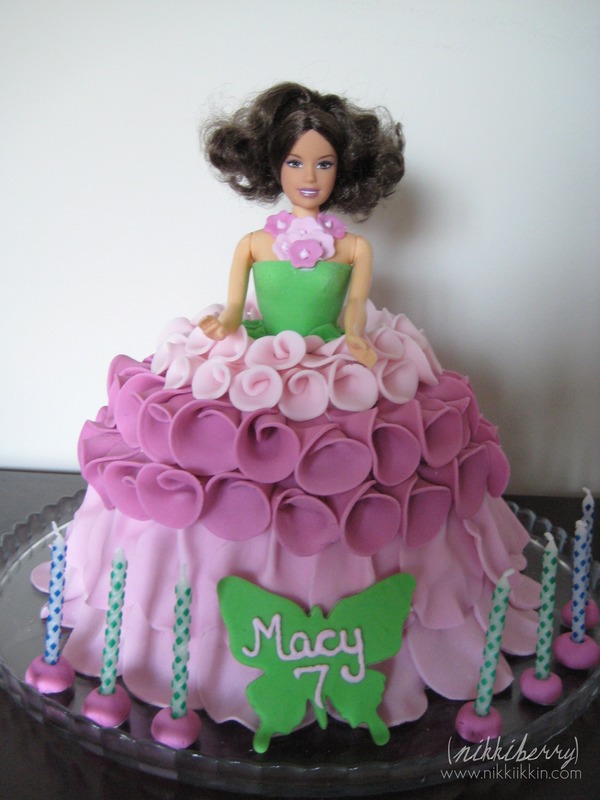 We snuck her to dinner that night and she was brought out by the wait staff singing Happy Birthday, Macy was so proud for everyone in the restaurant to see her fabulous Barbie cake! 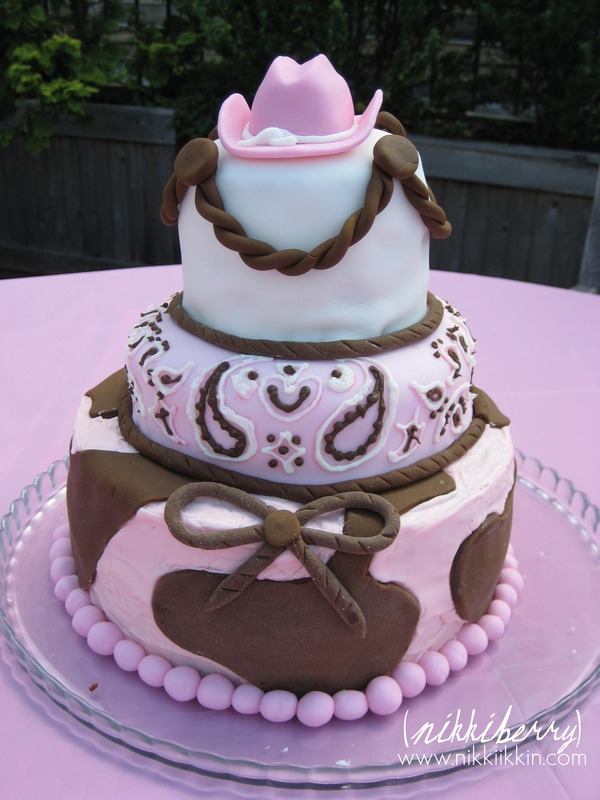 I have a few other Barbie cakes that you’d love to see too! 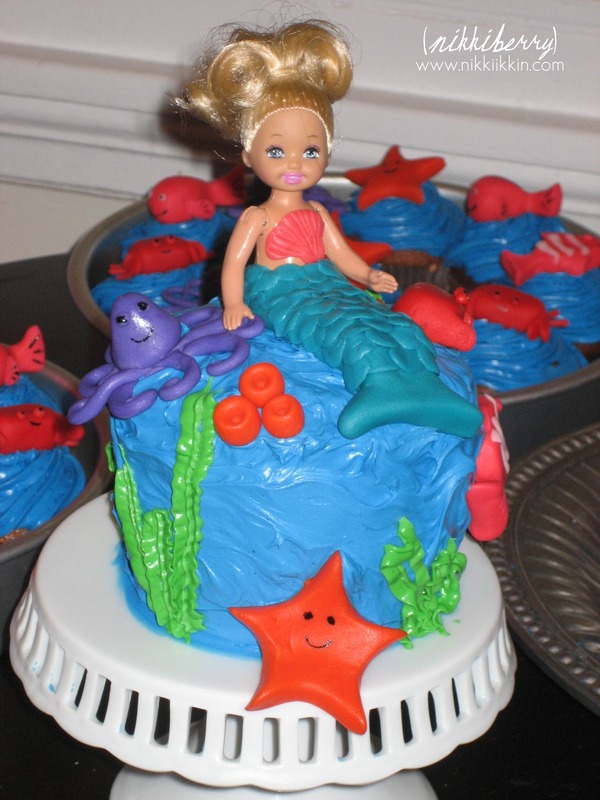 For my daughters 5th birthday the theme was Under the Sea. 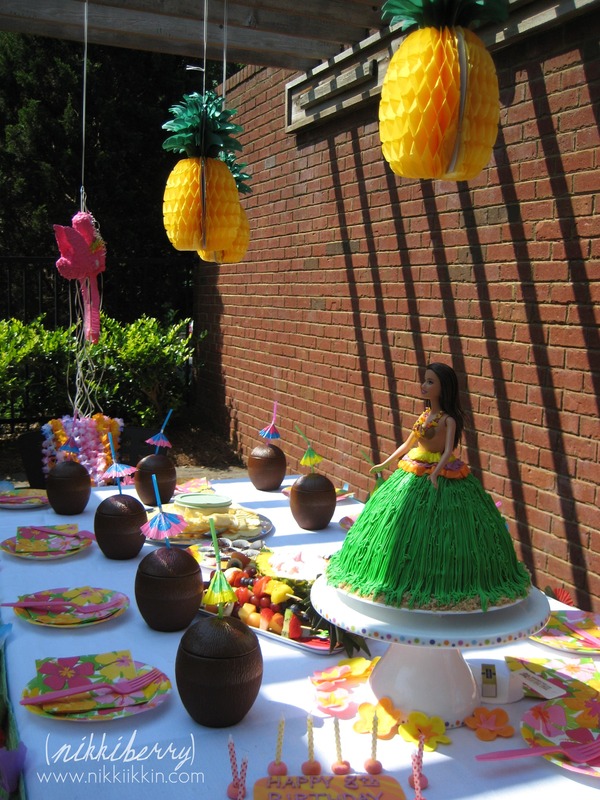 I am only sharing the invitation and cakes from the party, but this was a fantastic pool party and a success with my daughter who is my biggest fan and littlest critic! The informational side of the card was designed and printed as a 5×5 square. 5″ squares were also cut out of the foam core, transparency film and unprinted scrapbook paper. A center circle (a square would work too) was cut from the foam core and scrabookpaper. And then it was like a sandwich, stacked up with the info face down glued to the foamcore, confetti sprinkled inside, transparency film to seal it and the scrapbook paper to cover and complete it. Being our theme was Under the Sea, this was meant to look like a fish bowl but it could be reinterpreted for any theme. 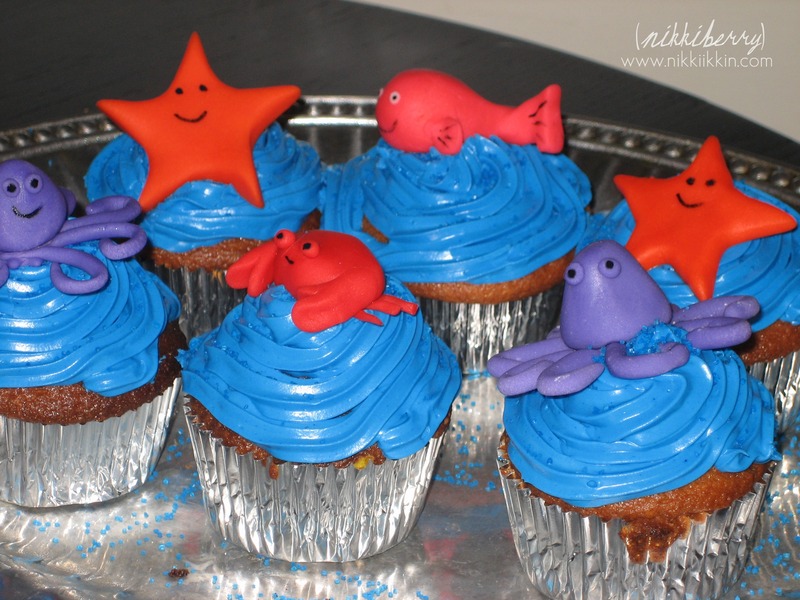 There is an interesting story behind the real Under the Sea party that year. It was one of a few times that we decided to return back home to Tennessee to celebrate with family and friends. Flight delays and ultimately a flight cancellation nearly kept us from getting to TN. When we did get there it was just a few hours before the party and without our luggage full of party supplies. 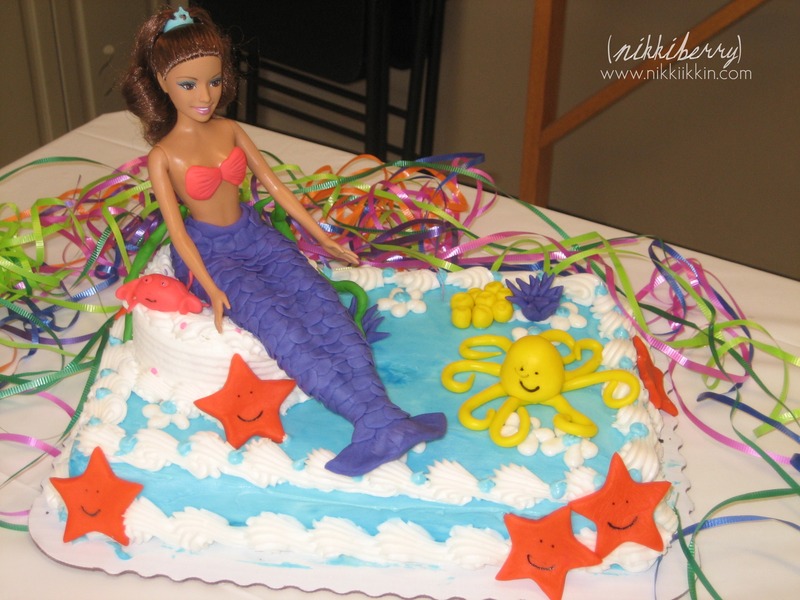 To save this party I picked up two pre-made cakes from a big box store, I think they were the Carebear cloud designs but they worked as ocean too. 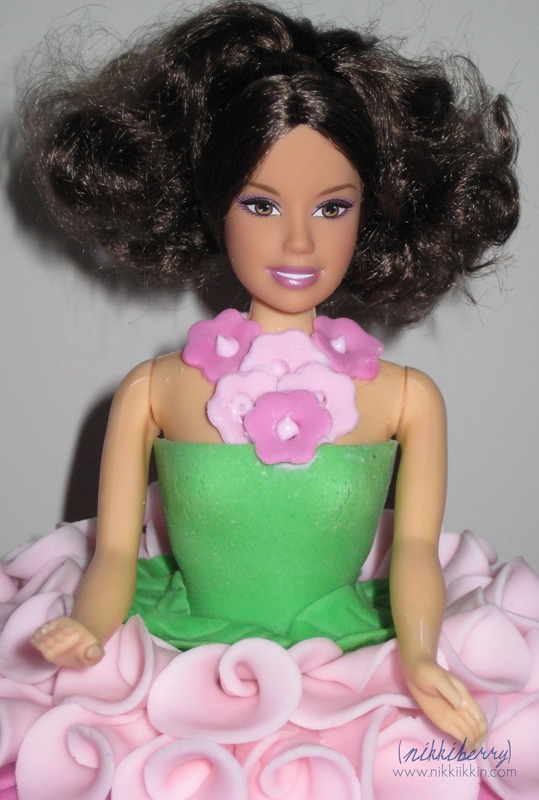 I grabbed a new Barbie and some fondant and within an hour the cake was complete! I hope that my emergency cake experience for this party can one day help someone else out if they are in a pinch to produce a custom cake. Dont panic, just add to a ready made and no one will be able to tell that it is a impromptu design!